Ensuring the safety of airlines, airport business, and visitors at PDX. 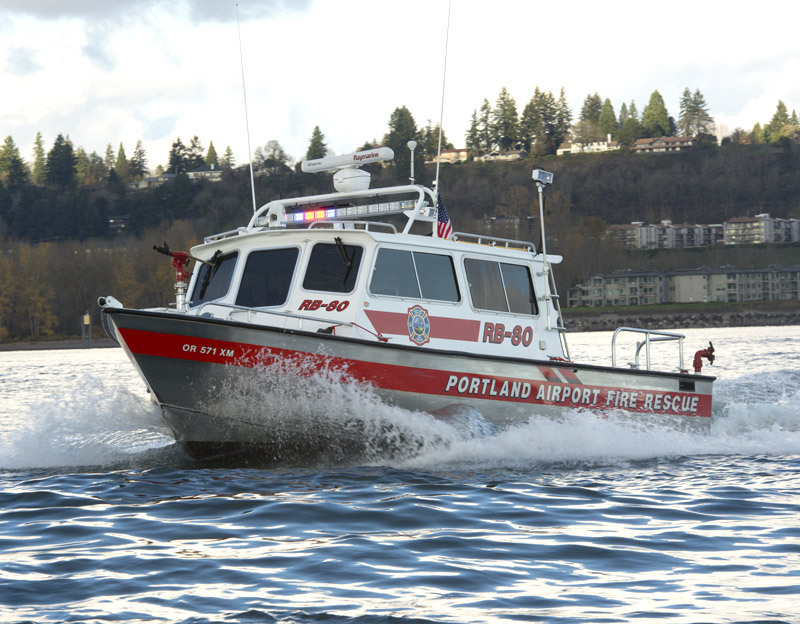 To reach the Port of Portland Fire Department, please call 503.460.4600. For more information about jobs with the department, visit our Career Opportunities Web page. Portland International Airport (PDX) is committed to ensuring the safety of the airlines, airport businesses and visitors. 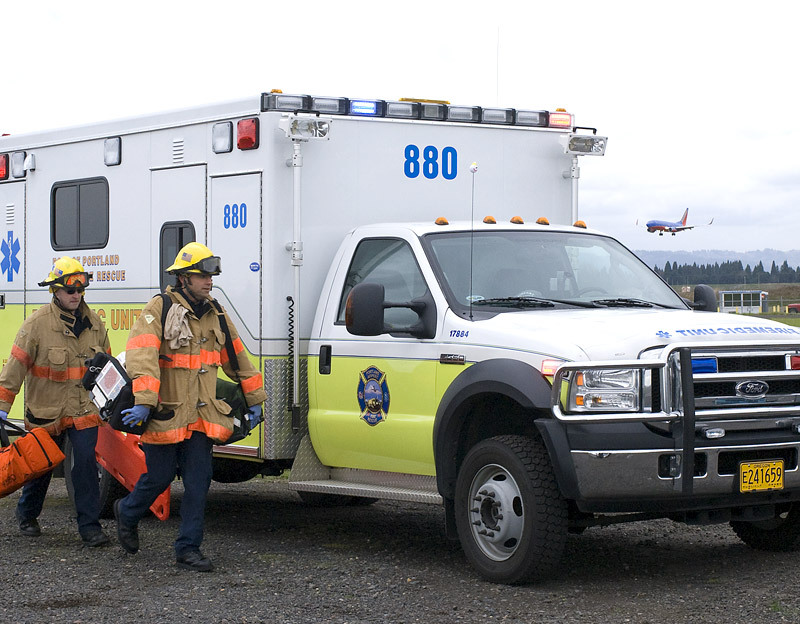 The Fire Department manages the Aircraft Rescue Fire Fighting (ARFF), Paramedic, Structural, Training and Inspections, and Water Rescue emergency programs at PDX. The safety of passengers and aircrew is the department's number one priority. 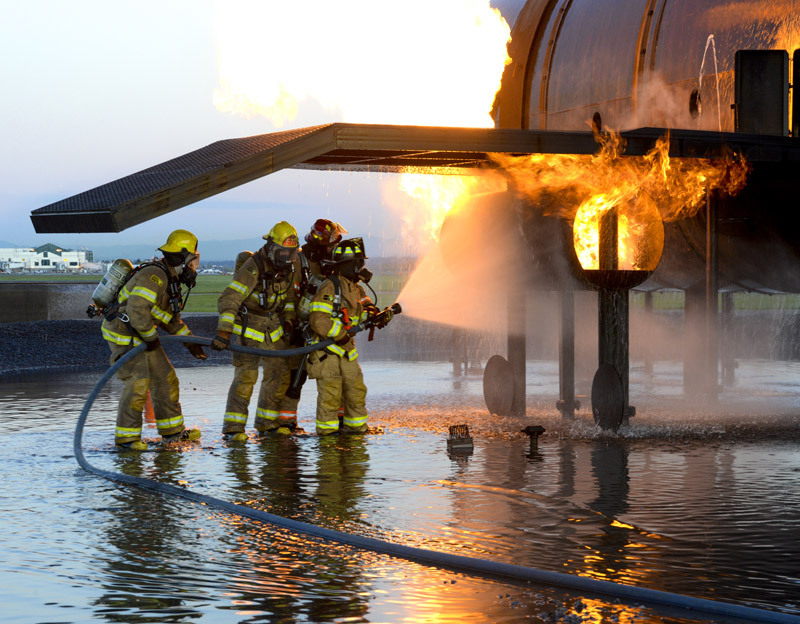 The Aircraft Rescue Fire Fighting (ARFF) program is designed to prepare each member of the department for an aircraft-related accident. The specialized fire trucks used for ARFF are unique and can rapidly deploy large quantities of water and firefighting agents such as foam and dry chemicals to combat an aircraft fire. Our paramedics respond to a wide range of calls at PDX. They fill various roles depending on the nature of the emergency. Their duties may include treating victims of an aircraft disaster, structural fire, vehicle accident or similar emergency. All newly hired firefighters at PDX attend a 12-week structural fire academy. More “site specific” training is then conducted using the airport´s equipment and response areas. In addition to all types of fires, the team responds to vehicle accidents, medical emergencies, hazardous materials incidents and rescue calls. The training division is responsible for instructing firefighters in the critical aspects of life/fire safety. 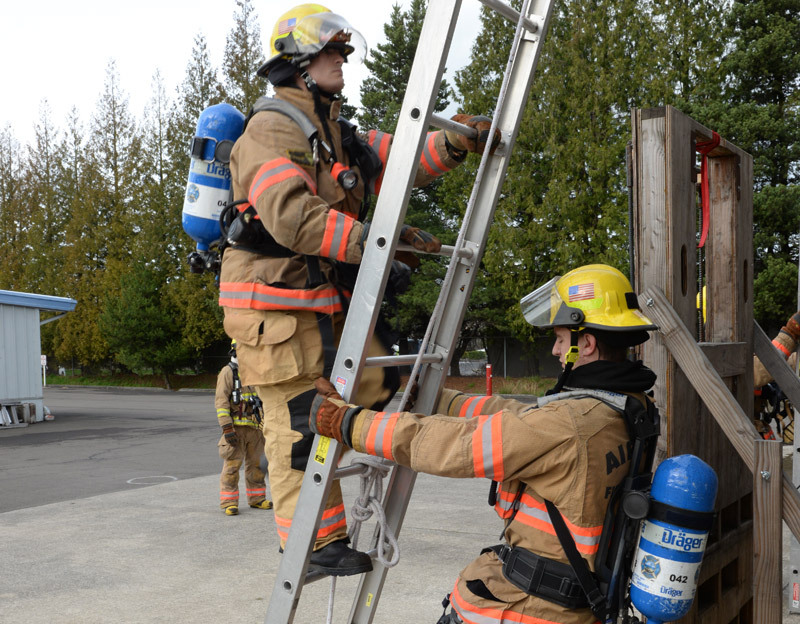 Firefighters at PDX meet and exceed national certification requirements for airport firefighters. 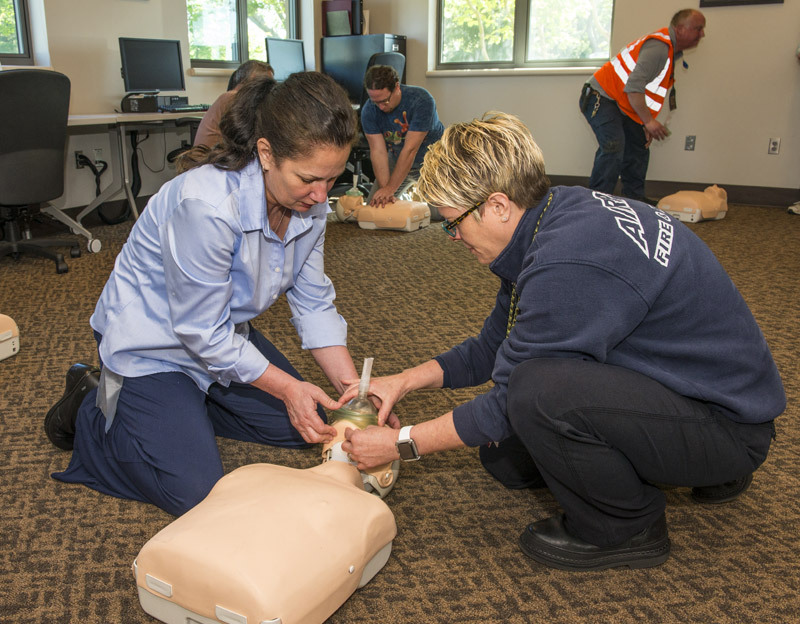 They also train PDX employees in CPR, and how to operate the fire extinguishers and automatic external defibrillators (AEDs). The inspections division tests and maintains the fire alarm system, fire sprinkler systems and hydrant systems, and ensures each area of the airport is in compliance with fire/life safety requirements. The Water Rescue team rescues passengers and crew of aircraft involved in water accidents. It also responds to life-threatening emergencies on the Columbia River and requests from other agencies. In addition, the team is trained to deploy flotation equipment for more than 200 passengers in a matter of minutes.